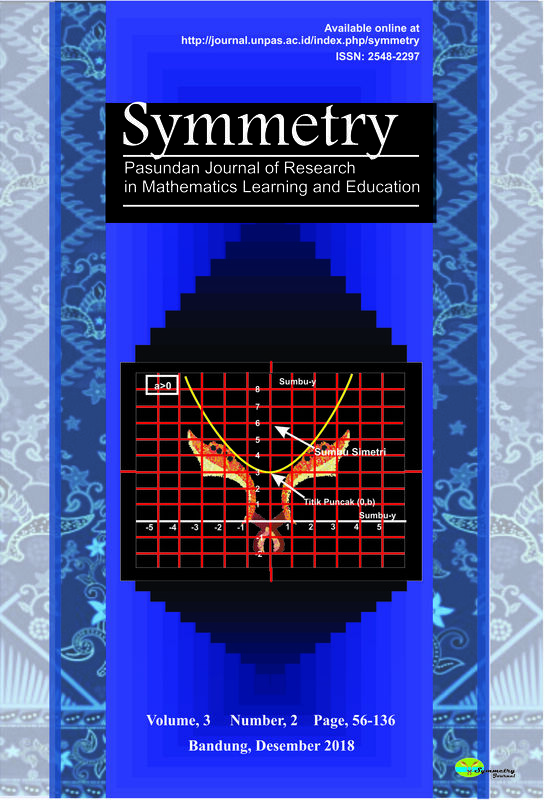 Symmetry: Pasundan Journal of Research in Mathematics Learning and Education is a journal published by the mathematics education program Unpas FKIP. The contents of this journal is a publication of the results of the practitioner's thoughts and expert learning and mathematics education both substantially and / or the results of international mathematics education research either in school or in college. 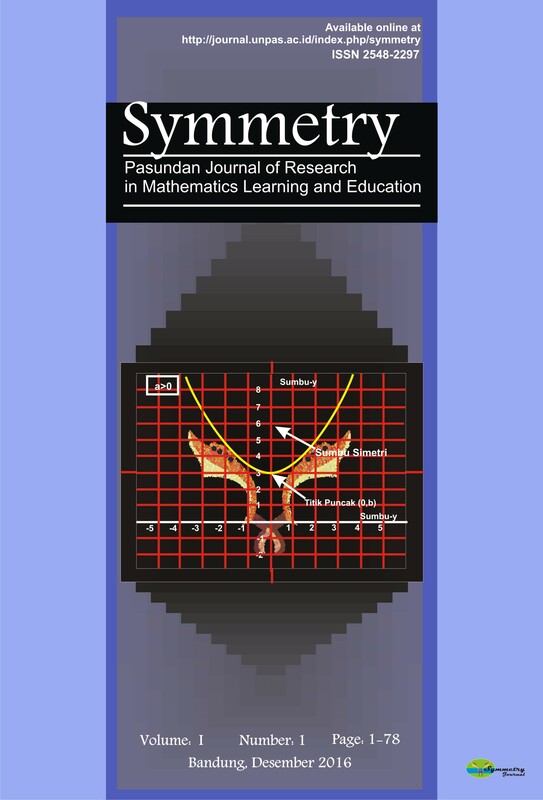 It is hoped that the publication of this journal can contribute to the quality of mathematics education in schools and universities. In addition, the authors can collect cumulative for higher functional levels of position, which in turn can improve the quality of human resources in mathematics education research in general. This journal is reviewed by best partner with the doble blind method . Symmetry Institute , Pasundan Journal of Research in Mathematics Learning and Education , is a Research Institute (Lemlit) Unpas. In this journal Lemlit UNPAS is responsible for the contents, distribution and / or publishing of this journal.